With a voice that reflects the trauma caused by life on the streets, Lil Yee is one of the Bay Area’s most relatable and melodic emcees. 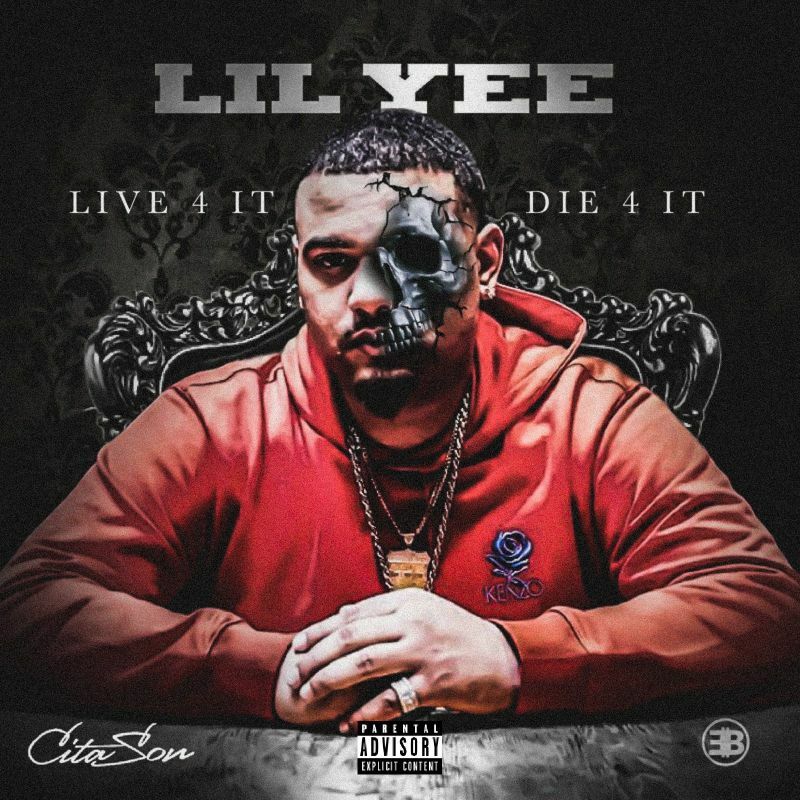 Coming through with a star-studded second album, Lil Yee shares Live 4 It, Die 4 It. Exploring sounds beyond his immediate home region, but still keeping his heart in his home of San Francisco, Lil Yee’s latest ping pongs from melodic trap and the snapping West Coast sound favored in L.A. and the East Bay. With production from Atlanta producers like FKI 1st, Zaytoven, Cassius Jay, and YK of 808 Mafia, plus sounds from Detroit’s Helluva and Oakland’s JuneOnnaBeat, among others, Yee’s follow-up to 2017’s Cita Son is a freewheeling, pan-regional affair, as the young rapper weds heartfelt lyrics with infectiously loping melodies. Featuring the flex-happy anthem “Designer Baby,” which released in July and has over 387k video views, and with appearances from E-40, Mozzy, Lil Pete, FMB DZ, and with a posthumous verse from The Jacka, Live 4 It, Die 4 It arrives via G-Affair/EMPIRE. Shining a spotlight on the less-seen areas of America’s most prosperous and unequal metropolises, Yee shows us his side of San Francisco in “Concrete Jungle,” Live 4 It, Die 4 It‘s accompanying video single. Produced by YK of 808 Mafia, the omnipresent ATL production collective, “Concrete Jungle” is a downtempo trap ballad. Yee’s gentle croon floats above sparse guitar and rattling hi-hats, as he sings about the violence of his neighborhood and the pain he feels: “When my cousin lost his life, I started thuggin’/Wanted to jump inside that casket with him/Goddamn, I miss him.” In the video, hosted by No Jumper, Yee and his crew post up in the Tenderloin District, pouring lean as they explore their neighborhood. Please contact Michelle or Erin if interested in talking with Lil Yee.